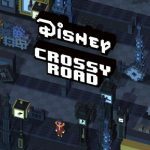 The new characters keep coming in for Disney Crossy Road players. 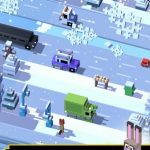 Already chock-full of characters, may they be available right from the get-go or hidden as secret characters, this game has been quite a popular title, combining the mechanics of Crossy Road with the characters and settings of various Disney and Pixar films. And the character count has increased quite considerably since the game’s release a couple months ago; even the real-life folks from Disney and Crossy Road developer Hipster Whale have made their way to the game, as hidden characters you can unlock! There is a total of ten new characters included in the most recent, Pirates of the Caribbean-themed update. 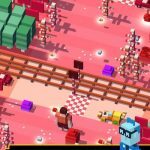 Just like it is in Crossy Road and most other similar games, these characters won’t come with any special skills or attributes, but that’s just fine by the game’s fans – it’s all about collection when it comes to titles in the Crossy Road series. 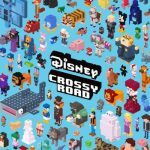 So if you want to collect the Pirates of the Caribbean update characters, do check out this latest in a series of Disney Crossy Road strategy guides. For starters, the Pirates of the Caribbean update doesn’t limit itself to characters from the film. Take Adorabeezle Winterpop from Wreck-it Ralph, for instance. You should first unlock Crumbelina if you haven’t yet, play as her, and reach a score of 1,500 points in 35 seconds or less. Pulling off this feat will allow you to unlock Adorabeezle Winterpop by the time your run is over. You can unlock Big Baby from Toy Story by using Buzz Lightyear or Sadness, or maybe even any other character. But to be on the safe side, it will be best to use Buzz, going through the level until you’re able to spot Big Baby. Hop towards him, kill your character off, and return to the game to see Big Baby as part of your growing roster. For another example outside of Pirates of the Caribbean, how about the Brazilian Helicopter Pilot from Inside Out? You can unlock him by playing as Sadness, jumping around the entire level until you see the pilot sitting at random points. Hop toward the pilot, die, and get the Brazilian Helicopter Pilot unlocked once you return to the game. Yes, it does seem as if our first five entries aren’t from Pirates, so let’s move on next to Cass from Big Hero 6. Unlock Hiro Hamada, play as him, and look for Cass in the level. Upon finding him, move toward him and die at a different point in the level. Cass will be available once you return to the game. In order to unlock Jubileena from Wreck-it Ralph, you need to have Gloyd Orangeboar. Play as him, and just like you did when trying to unlock Adorabeezle Winterpop, accumulate 1,500 points in 35 seconds or less. After you die and restart the game, Jubileena will be among your unlocked and playable characters. The game would allow you to unlock Pintel if you have the Heroes of the Caribbean set completed, in any order. So far, Disney has not revealed what’s in the Heroes of the Caribbean set, but this may include Jack Sparrow, Will Turner, and Elizabeth Swan. After you’ve completed the set, Pintel will immediately be added to your list of playable characters. Those who want to unlock Prison Dog have to play as Pintel, making your way through the ship until you see the dog show up. Run up to Prison Dog, die, at another point in the stage, and quit the game. Upon returning, Prison Dog will be an unlocked and playable character as long as you followed the above instructions. The Cursed at Sea set is the one you have to complete if you want to unlock Ragetti. Unlike the Heroes set, whose content has yet to be confirmed 100 percent, reports suggest Cursed at Sea includes Hector Barbossa, Jack Sparrow, Bootstrap Bill Turner, and Will Turner. Ragetti will be unlocked and playable after you’ve collected all four of those characters. We normally encourage gamers to play their mobile titles with their headphones plugged in. That is again the case in Disney Crossy Road, as you’ll have to pay attention to Stray Cat’s meow. You’ll hear it after playing as Jack Sparrow and leaping through the ship until a treasure chest can be seen. Once you’ve heard the meow and hopped to the chest, allow your character to get killed. Return to the game and Stray Cat will be available. This one should be easier in terms of the steps you need to take to unlock a character, Play as any other Pirates of the Caribbean character, and hop around the ship until you’re able to see Tiny. Die after you’ve had your first encounter with Tiny, return to the menu, and return to the game with the character unlocked.